Seemingly, the Oakland Police Department has decided to start cleaning up its image a little by firing cops involved in high profile cases of police misconduct. However, according to a recently released report, a combination of a “broken disciplinary system” and their own lax history of enforcement against all those Bad Apples that gave them such a toxic image in the first place are preventing them from doing so. The report by San Francisco attorney Edward Swanson uses two recent examples to detail how officers fired for misconduct are able to have those firings overturned in arbitration. Those reversals are due to bias on the part of the arbitrators involved and/or comparisons to previous lack of punishment received by officers implicated in similar instances of abuse/misconduct. Essentially, they are circumventing new disciplinary process by taking advantage of the previous (intentionally) toothless nature of its predecessor. That along with the inherent bias of the arbitration system itself, incomplete training methods and (intentionally) inadequate investigations by internal affairs has made it virtually impossible for legitimate levels of discipline to be imposed on Oakland police officers. In the second case, the department sought to kick out an officer accused of using excessive force. But there were problems with the internal-affairs investigation, largely resulting from OPD decisions that were made “without the benefit” of city attorneys, Swanson wrote. Two previous cases, which prompted U.S. District Judge Thelton Henderson to order the report, included the firing of Officer Robert Roche who threw a tear gas canister at a group of people attempting to help Iraq War veteran and activist Scott Olsen after he had been shot in the head by a bean bag round during an Occupy Oakland protest. That injury caused Olsen to suffer permanent brain damage. Ofc. 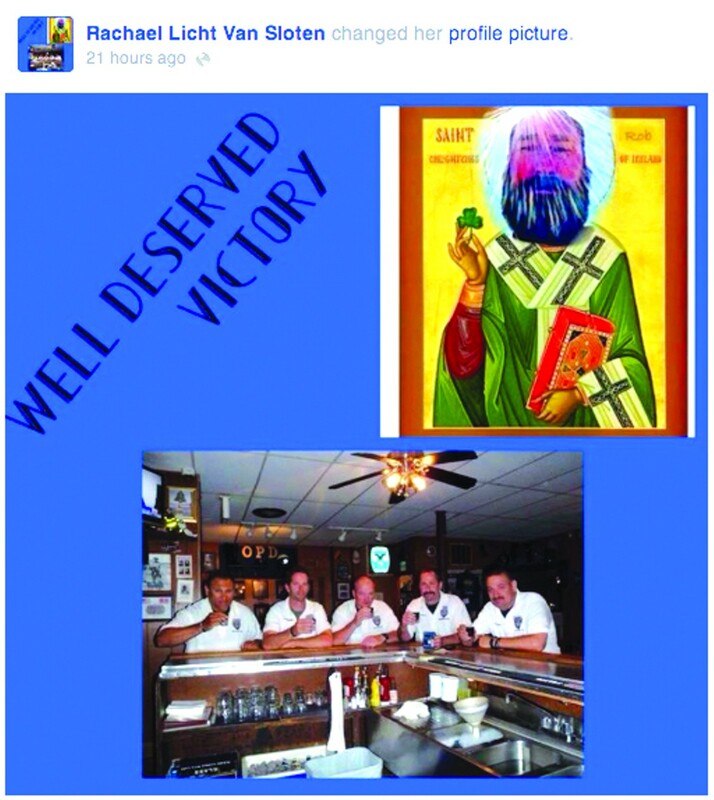 Roche was later reinstated by an arbitrator and Sergeant Rachael Sloten, who had “investigated” Roche for OPD’s internal affairs, subsequently changed her Facebook profile to a picture entitled “Saint Rob,” which depicted his face photoshopped onto a religious image and stated “well deserved victory” within the image. The other case involved that of Officer Hector Jimenez, who had been fired for murdering an unarmed man by shooting him in the back. He too was ordered reinstated during arbitration. Whether the Oakland Police Department legitimately wants to clean up its act or it’s just yet another empty dog and pony show, it’s rather obvious from this report that their previous lack of any sort of realistic disciplinary process along with current biases and incompetence within that process won’t even allow them to do even something as inadequate as fire cops proven to be corrupt and malicious. Basically, those Bad Apples are continuing to benefit from the sins of the past and the system won’t allow Good Cops to do a damn thing about it, even if they do genuinely want to.